Earlier this year, I trialed the new and improved Dairy-Free Melt Organic in my delicious Scalloped Potato Stacks recipe. That incredible buttery goodness was amazing with potatoes, but I still needed to put Melt to the ultimate test: baking. After using up several tubs as a spread and for general cooking, I finally gave Melt a whirl in a new recipe, Strawberry Shortcake Donuts. And my oh my, we were definitely not disappointed. Traditional cake donuts are actually fried and usually made with dairy. 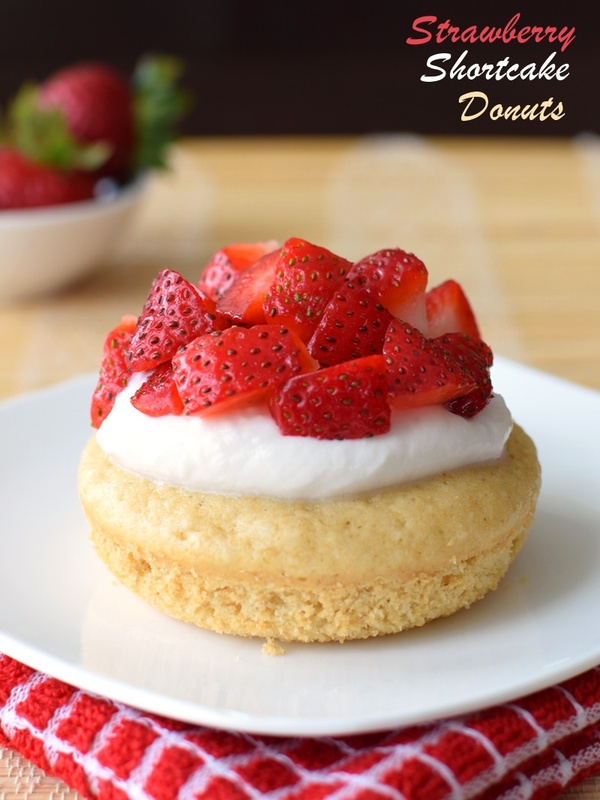 These strawberry shortcake donuts are baked, dairy-free, and even made with whole grains (white-wheat flour is actually 100% whole wheat! ), but thanks to the ingredients and method, they taste pretty darn close to the guilty originals. And really, you can top them however you like. 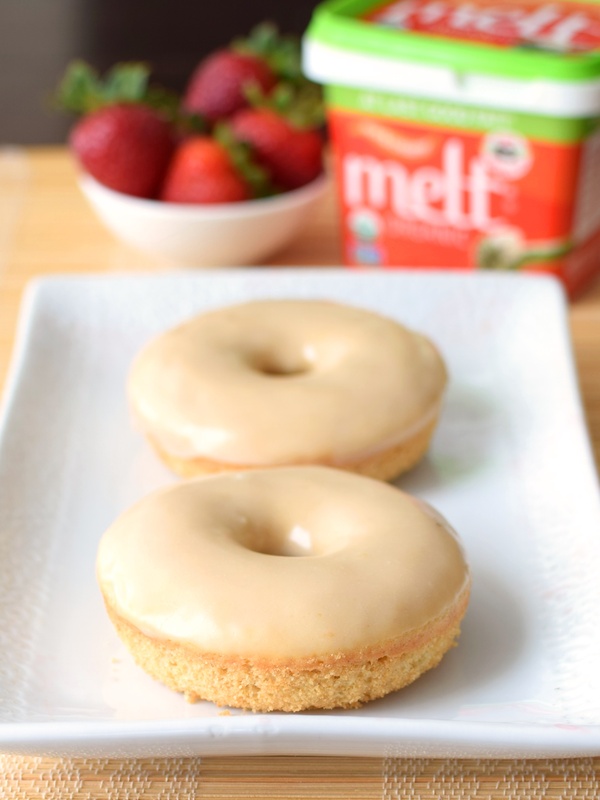 While testing and perfecting these strawberry shortcake donuts, I ran out of chilled ingredients for the whip topping, so I tried them with a quick buttery vanilla glaze – delicious! As to be expected, every last donut from my many trials was devoured by friends and neighbors in minutes. As for the strawberry shortcake donuts specifically, note that you must use full-fat coconut milk (not coconut milk beverage) for the whip. Since coconut cream isn’t always as smooth as dairy topping, I decided to trial whipping just a bit of buttery spread into my usual dairy-free coconut whip recipe. Not only did it result in a creamier consistency, it also added a hint of flavor and a touch of salt to heighten the sweetness. Though it isn’t required, I suggest you give it a try. This post is sponsored by MELT Organic, but the desire to bake donuts was my own. I am now using Melt as my go-to buttery spread. You can read why in my full review. 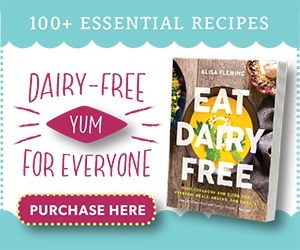 By ingredients, this recipe is dairy-free / non-dairy, optionally gluten-free, nut-free, peanut-free, soy-free, and vegetarian. 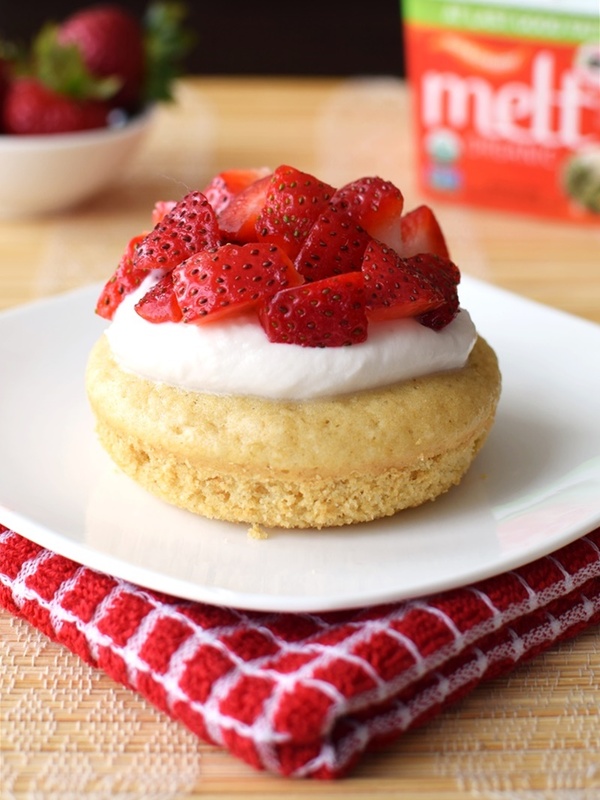 For vegan and egg-free strawberry shortcake donuts, I recommend using white-wheat flour or all-purpose flour (gluten-free may be trickier and require more testing), and substituting the eggs with two powdered egg replacers. Two chia eggs plus an additional 1/8 teaspoon baking powder is another good option. For moister donuts, you can use 1/3 cup applesauce or unsweetened dairy-free yogurt in place of both eggs, and I would increase the baking powder by 1/8 teaspoon. These easy, spot on, wholesome cake donuts will become your favorite base for indulgent toppings. In this recipe, I went with a summery strawberry shortcake theme. Place all topping ingredients ingredients in a chilled mixing bowl and blend with a hand mixer until smooth. Add more vanilla, if desired. 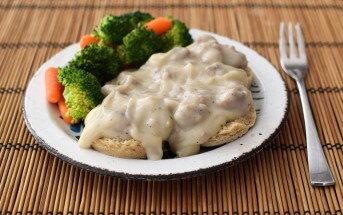 The buttery spread offers an extra touch of creaminess. 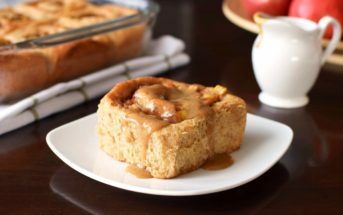 Place in the refrigerator to chill and re-thicken while you make the donuts. Preheat your oven to 350ºF and grease the wells of a couple donut pans (see note below if you don't have donut pans). Place the flour, sugar, starch, baking powder and salt in a large bowl and whisk to combine. 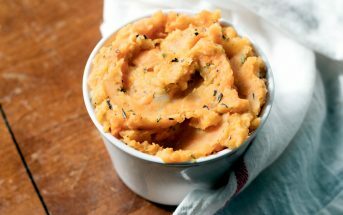 Add the buttery spread and zest and whisk until a coarse meal forms. Heat the coconut milk until hot, but not boiling (I do 30 seconds on HIGH in the microwave). Add the heated coconut milk, eggs and vanilla to the flour mixture and stir until just combine with no flour streaks remaining (there will be little lumps); do not over mix. Fill the donut wells with the batter up to the top of the center hole (do not cover the center!). Bake for about 10 minutes, or until just set; they will still be fairly light in color. Let cool for 10 minutes in the pan, before running a knife to loosen (if needed) and removing them to a wire rack to cool completely. To serve, give the dairy-fee topping a quick whisk and dollop atop the cooled donuts. Top with diced strawberries. If desired, dust tops with powdered sugar. Coconut Cream: chill 1 or 2 cans or packages of good-quality, full-fat coconut milk in the refrigerator overnight (it will help the whipping if you also chill a small mixing bowl and beaters with the coconut milk). Scoop the thick cream from the top. I pour a So Delicious Original Culinary Coconut Milk into a container and chill. I can usually get 1 cup of coconut cream out of just one package. No Donut Pan? Pour the batter into greased 3- to 4-inch ramekins, about 1-inch high and bake as directed for hole-free donut cakes! What a fun recipe! Gotta look out for that Melt spread! Donuts are totally my jam! AND then when they’re healthy? 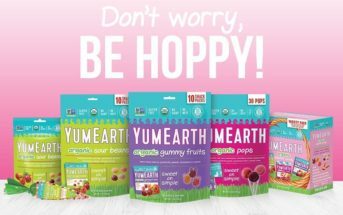 I could eat ALL of these! So perfect and summery too! My kids were just asking for strawberry shortcake today! I love that this is baked, too! I have no doubt these taste as amazing as they look – WOW! You’ve managed to make donuts healthy and delicious! Genius! I can already imagine the smiling and grateful faces that I will get when I make these for my kids! These donuts look fabulous! These gluten-free, dairy-free doughnuts came out looking way better than my “normal” baked doughnuts! You have me super intrigued! My daughter starts school this year and I bet she will have at least one friend with an allergy so I love keeping recipes like this around. I have to say, I’ve eaten many lack-luster baked donuts, but your recipe may just be able to redeem the concept. That looks fantastic! This looks and sounds incredible! I’ll have to check out MELT, too! 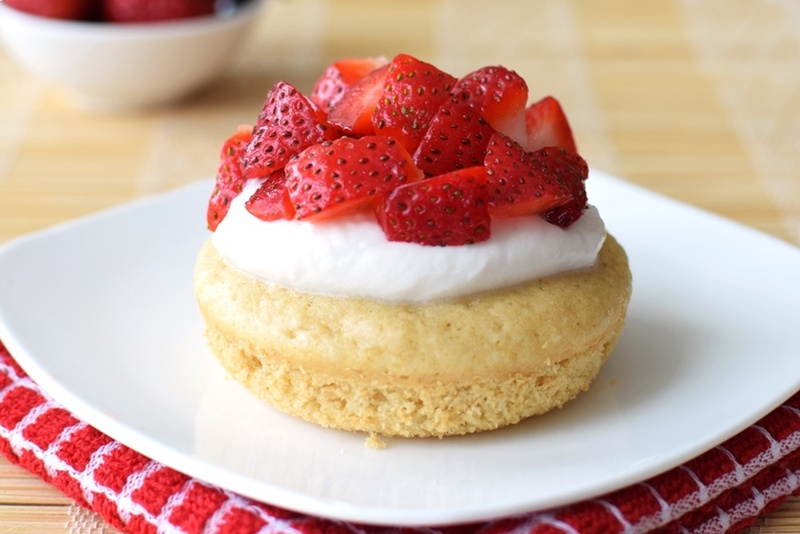 Strawberry shortcake is one of my favorite summertime desserts, I love your idea to make a donut version, they sound wonderful! Holy yum! I tried Melt Organic for the first time earlier this year and loved it. 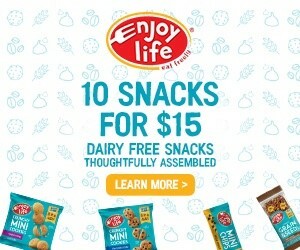 It’s a great alternative for those who can’t have or don’t like dairy. Indeed, it’s great and works so perfectly in recipes! Also great for people who want a good omega-balanced option. These look amazing, and I definitely think this will be made in the near future! Thank you Kaitie and I hope you do get the chance to enjoy! You know I’m all about the baked doughnuts!! Fabulous summery recipe too! This means only one thing: I must go buy a donut pan. I have a donut maker, so I may take that out on a spin. But I need an excuse for a donut pan along with a great idea for the over purchasing of strawberries in my house. Thanks for the fun the idea–especially the icing…my head is whirling with ideas to use that on other items. Glad you like it Caroline! In the mean time I’ve included directions for making without a donut pan, but it may work in your donut maker! My kids were just requesting doughnuts the other day! And our chocolate lover recently discovered she also likes strawberry cake. This sounds like the perfect recipe for us! Talk about timing! It’s always fun when kids discover new likes, too!